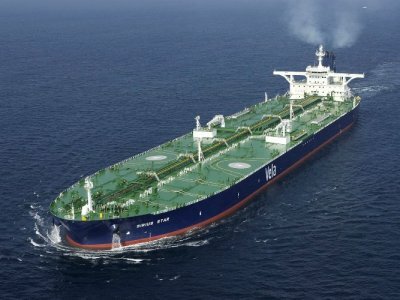 The Saudi owners of the Sirius Star are in negotiations with Somali pirates who have demanded a ransom for the super-tanker laden with 100 million dollars of oil they hijacked at the weekend. Saudi Arabia's foreign minister, Prince Saud al-Faisal, said countries don't like to negotiate with terrorists or hijackers but the final decision rests with the owners of the ship. "I know that the owners of the tanker, they are negotiating on the issue," the prince said Wednesday when asked about media reports that the owners were in talks with the pirates over a possible ransom. The company which operates the Sirius Star has remained tight-lipped about the claims of negotiations. "We cannot confirm, nor deny" reports of negotiations with the hijackers, said Mihir Sapur, the spokesman of Vela International, a subsidiary of Saudi oil giant Saudi Aramco. "Negotiators are located on board the ship and on land. Once they have agreed on the ransom, it will be taken in cash to the oil tanker," said the man identified as Farah Abd Jameh, who did not indicate the amount to be paid. Seized in the Indian Ocean some 500 miles (800 kilometres) off the African coast, the Sirius Star is now anchored at the Somali pirate lair of Harardhere. The super-tanker was loaded to capacity with two million barrels of oil when it was seized along with its crew of 25 -- 19 from the Philippines, two from Britain, two from Poland, one Croatian and one Saudi. It was the largest ship yet taken by Somali pirates and the attack furthest away from Somalia. The Indian frigate INS Tabar, one of dozens of warships from several countries protecting shipping lanes in the Gulf of Aden, attacked a Somali pirate ship late Tuesday after coming under fire, navy spokesman Nirad Sinha said. It was the first time a pirate mother ship had been destroyed, in the most significant blow to pirates to date. Pirates use mother ships, generally hijacked trawlers or deep-sea dhows, to tow speedboats from which they launch their attacks with grapnel hooks tied to rope ladders before neutralizing the crews at gunpoint.